In 88 B.C., it seems as if the entire ancient world is at war. In the west, the Italian states are rebelling against Rome; in the east, Mithridates is marching through and conquering the Roman Asian provinces. Even in the relatively calm Alexandria, a coup has brought a new Pharaoh to power and chaos to the streets. The young Gordianus has been waiting out the chaos in Alexandria, with Bethesda, when he gets a cryptic message from his former tutor and friend, Antipater. Now in Ephesus, as part of Mithridates' entourage, Antipater seems to think that his life is in imminent danger. To rescue him, Gordianus concocts a daring, even foolhardy, scheme to go "behind enemy lines" and bring Antipater to safety. But there are powerful, and deadly forces, at work here, which have their own plans for Gordianus. Not entirely sure whether he's a player or a pawn, Gordianus must unravel the mystery behind the message if he's to save himself and the people he holds most dear. 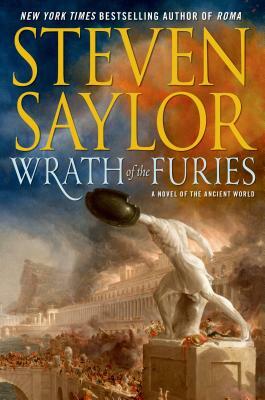 STEVEN SAYLOR is the author of acclaimed historical mystery novels featuring Gordianus the Finder, including Raiders of the Nile, as well as the internationally bestselling historical novels Empire and Roma. He has appeared on the History Channel as an expert on Roman politics and life. He divides his time between Berkeley, California, and Austin, Texas.